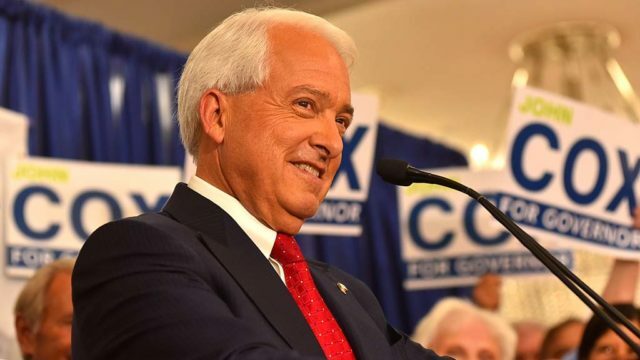 “Building more housing will bring rents down,” Cox tweeted as he shared a story about the measure qualifying for the November ballot. “This measure treats the symptom, not the disease — it’s a bad deal for renters. What backers have dubbed the Affordable Housing Act would repeal the Costa-Hawkins Rental Housing Act, a 1995 law that bans rent control on apartment buildings, condominiums and houses built after 1995 and froze local rent control laws. The 1995 law also allows landlords to raise rents by an unlimited amount when a unit becomes vacant. If adopted by voters, the initiative would give cities and counties expanded authority to enact rent control on residential property. There was no immediate response to an email sent Saturday night to a spokesman for Lt. Gov. Gavin Newsom, seeking the Democratic gubernatorial candidate’s position on the initiative. The initiative qualifying for the ballot “recognizes that millions of California residents are struggling to afford their homes and can’t wait any longer for relief,” said Damien Goodmon, the director of the campaign on behalf of the initiative, which is backed by the AIDS Healthcare Foundation and several unions. Secretary of State Alex Padilla announced Friday evening the initiative had surpassed the 402,468 projected valid signatures needed to qualify by random sampling.